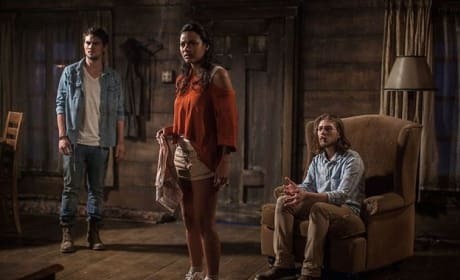 Jessica Lucas stars in the Evil Dead. Jane Levy also stars in the horror remake. Jessica Lucas is a pretty young Canadian actress. She is best known as Lily Ford in Cloverfield.